AQUA Running: What You Need to Know | JustRunLah! 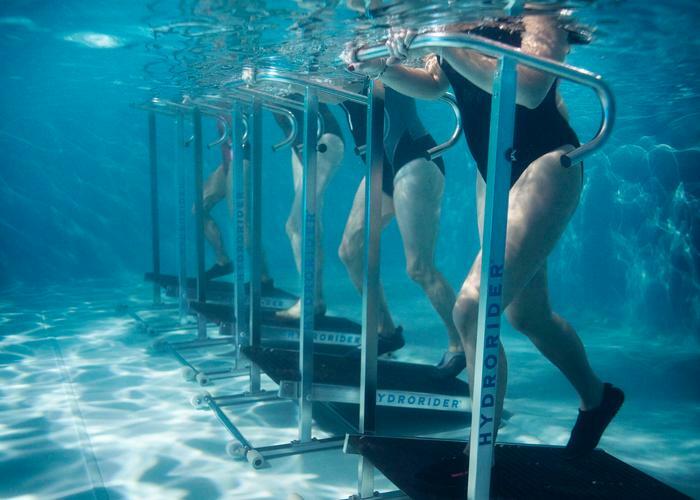 Aqua running is a deep water form of running. It mimics the movement of running, but has a much lower impact. You can either make use of a flotation belt clipped around your waist or an aqua vest to prevent you from sinking. Since it closely mimics the running movement, this training continues to provide the neuromuscular workout in the same way as running on dry land. You call on the same muscle memory and activate the same running-specific muscle groups. (One thing that biking and swimming can’t do!) On top of all that, it also increases your heart rate and aerobic endurance. All these with zero impact and minimised injury risk. The idea is that it should imitate your running form on land. Start by finding a deep enough pool and submerging yourself in it. 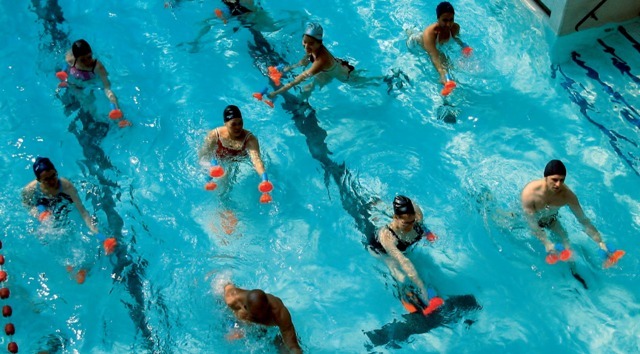 The key to good aqua jogging form is to keep your upper body straight and to not lean forward as much. Do a high knee lift and a compact back kick, with more exaggeration than you would on land. Although aqua running is supposed to mimic your dry land running, the slightly modified running form is to keep you upright.This will also enable you to perform harder sprinting activities. If you want to maintain your normal running gait in water, use a flotation belt. It is a great workout for those who have injured themselves and do not want to lose fitness. Dr. Jack Daniels, the author of best-selling “Daniels’ Running Formula,” says that you can maintain up to 80% of your fitness level with cross-training. Although Jack did say that aqua running can’t quite match up to high intensity running, it provides a similar aerobic workout for low to moderate intensity runs. You can also up your heart rate by swimming in a warm pool. It is also a good cross-training idea for any runner, who can’t deal with doing other types of cross-training that are too different to running. We always mistaken that runners just run and that’s all we do! Truth is, there are a lot more exercises that can complement our run training and those can make us more efficient, stronger and better endurance athletes.